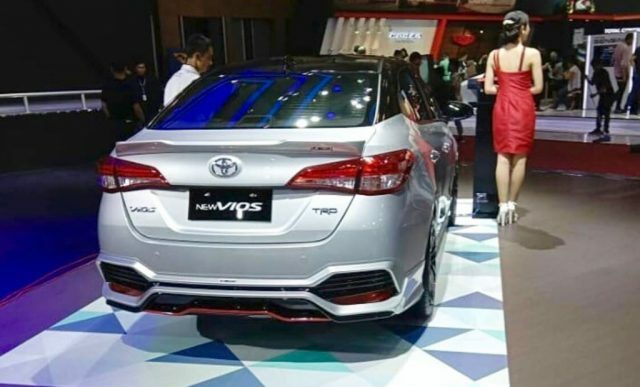 Sporty Toyota Vios (Yaris) TRD Showcased At 2018 GIIAS, India-Bound? Home Cars News Sporty Toyota Vios (Yaris) TRD Showcased At 2018 GIIAS, India-Bound? Chief among the concepts and regular models that graced the show floor of Toyota at the 2018 GIIAS (Gaikindo Indonesia International Auto Show), the TRD version of Vios sedan takes a special seat as it could be launched in India in the near future. The Toyota Vios TRD could stir things up if the brand decides to launch the sporty version domestically. Toyota Kirloskar Motor introduced the Yaris in April 2018 and it is also known as Vios or Yaris Ativ in some Asian markets. 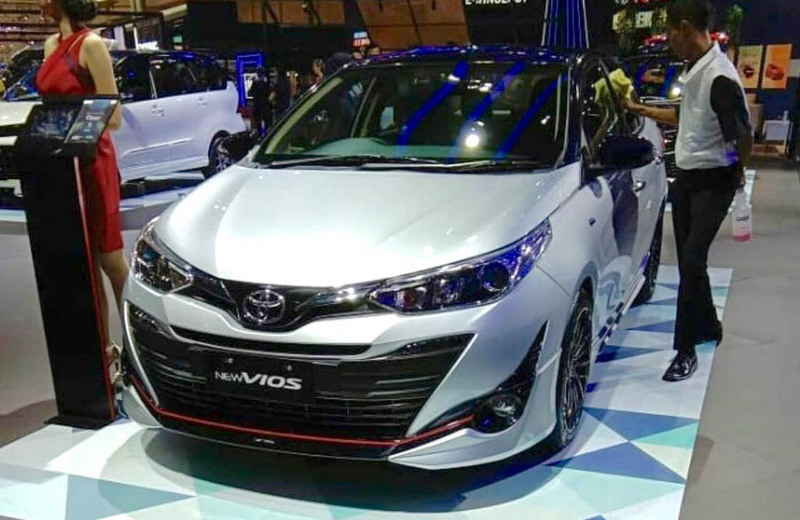 The TRD sporty body kit version of the Vios made its debut under the Yaris Ativ nameplate at the 2018 Bangkok International Motor Show as well earlier this year. It is a vibrant take on the C-segment sedan that competes against Maruti Suzuki Ciaz and Hyundai Verna in the Indian marketplace. The exterior upgrades can be clearly seen on the Vios TRD as it features dual-tone body colour with blacked out roof and pillar section adding boldness. Up front, the top-spec model gains the traditional TRD red highlights, along with the presence of a chin spoiler. It is not as aggressive as the TRD-styled Yaris Ativ showcased in Bangkok in March 2018 but shows a realistic take on the regular production model. The body kit further enables the overall appeal with sporty side skirts, as well as prominent bootlid integrated rear spoiler, a red accented underbody rear splitter, black garnished bumper, etc. It is marketed as an eco-car in Thailand and uses a 3NR-FE 1.2-litre dual VVT-i four-cylinder engine. It is good enough to produce a maximum power output of 86 PS and 108 Nm of peak torque. It is connected to a CVT-I automatic transmission. In India, the Yaris is powered by a 1.5-litre VVT-i petrol engine that makes 109 PS of maximum power at 6,000 rpm and 140 Nm of peak torque at 4,200 rpm.